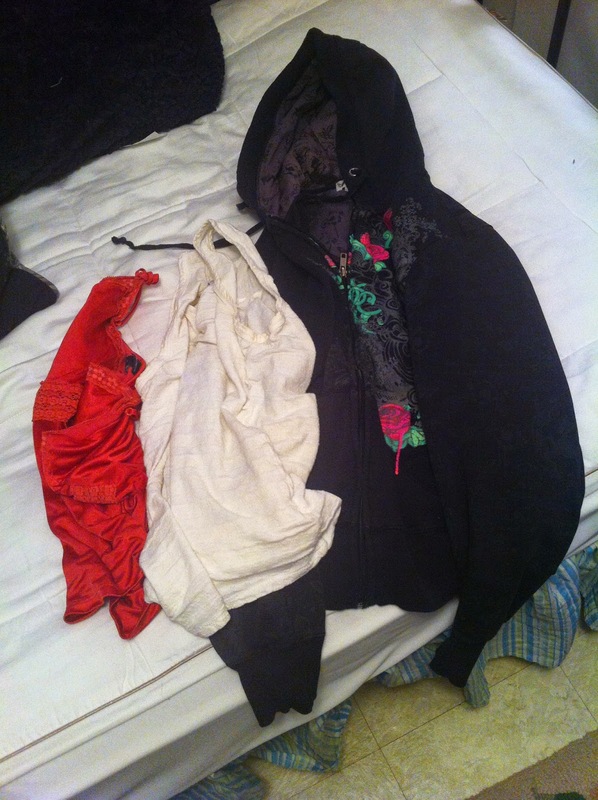 As I was putting my laundry away a couple nights ago, I pulled several items off to put in my donations pile: a pink tank top that is simply too short for today's styles, a white tank top that has seen better days, and a black sweatshirt. I'll put them in my donations bag, which is quickly filling up. Pretty soon I'll be dropping it off. The black sweatshirt I may change my mind about, as it used to be a favorite, but for now it's going into the bag -- if I miss it, I'll take it back out again, but if I don't miss it, it's going bye-bye. I'm wondering how often I should go through my closet and assess my clothes, as I feel like I could still stand to thin the ranks a bit. Every time I put away laundry? Maybe that's too often. Every time I buy something? That might actually not be often enough, as I despise shopping. Hopefully my year-long goal will force me to continually reassess, and I have even more hope that getting rid of what I don't need will get easier with time.